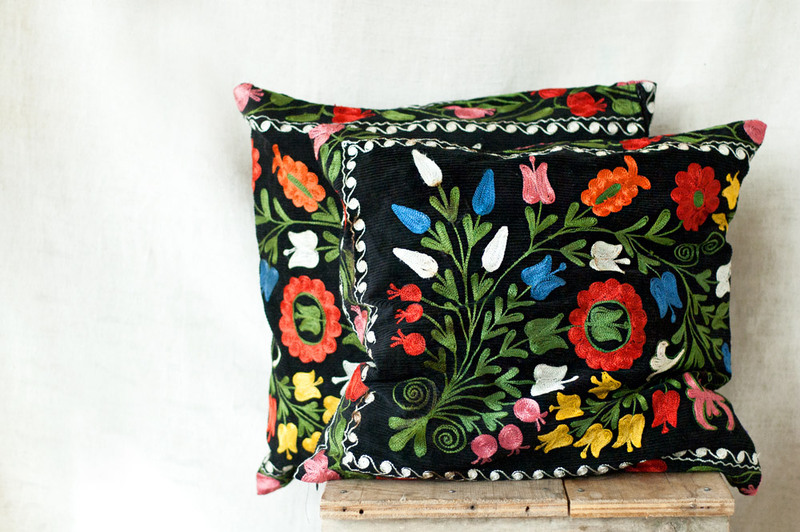 At last, I have fulfilled my dream: we made a pair of pillow cases from vintage Uzbek suzani.I bought this suzani last weekend; it was somewhat more expensive than planned, but I had to buy it. It has a lovely pattern with flowers and my beloved pomegranates, and the colors are so vivid - summer in the middle of the winter! Suzani are widely used for ritual purposes, such as weddings. The one we used for the cushion covers is called 'gul kurpa' which means 'blanket of flowers'; traditionally, it serves as a bed spread for the newly weds, symbolizing good wishes for their life together. 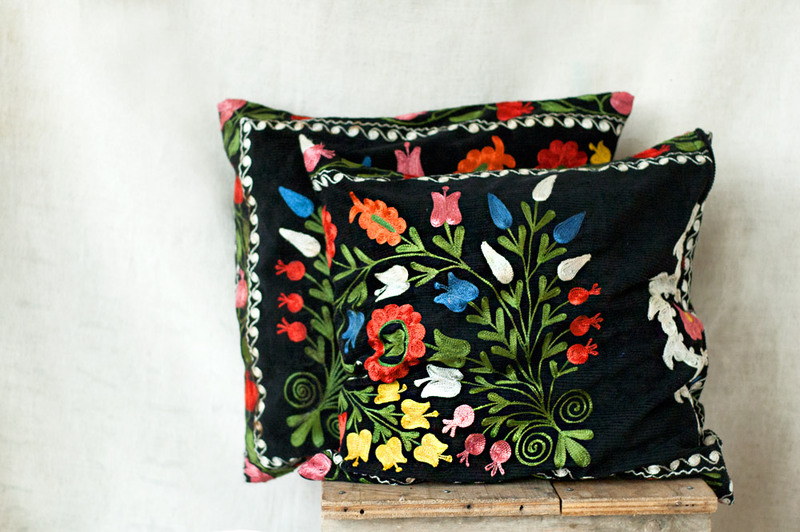 This pair of suzani pillows is for sale in our Etsy shop, here. 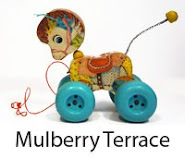 I believe the price is more than reasonable - this is our first experience with suzani, and I just want them to sell quickly, and then we will make more. Hope they will make someone's life a bit more like a beautiful garden from an Uzbek fairy tale! Beautiful pillows and interesting info on meaning of different types of embroidery! They are wonderful! Absolutely amazing!